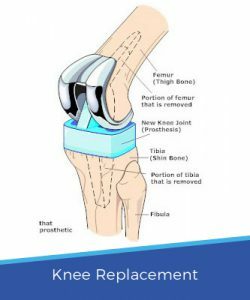 Many patients from abroad come to India for their knee replacement, this article will take you through everything you need to know prior to your surgery. The knee joint is the largest joint of the human body. Its proper functionality is crucial for the upright walk. In the course of life, a natural wear and tear of the articular cartilage can occur, which results in severe pain in the load and a substantial limitation of the joint mobility. We then speak of a knee joint arthritis or gonarthrosis. Severe stress from day to day activities restricts the damaged portions of the knee and sometimes it needs to be surgically replaced by prosthesis for pain reduction and functional improvement. In partial or general anesthesia, the knee joint is exposed. Depending on the extent of the damage, the entire joint surface, or even the most heavily affected part, is replaced by a metal cap adapted to the natural shape. The anchoring can take place with or without bone cement. Sometimes back of the knee disc also needs to be replaced. 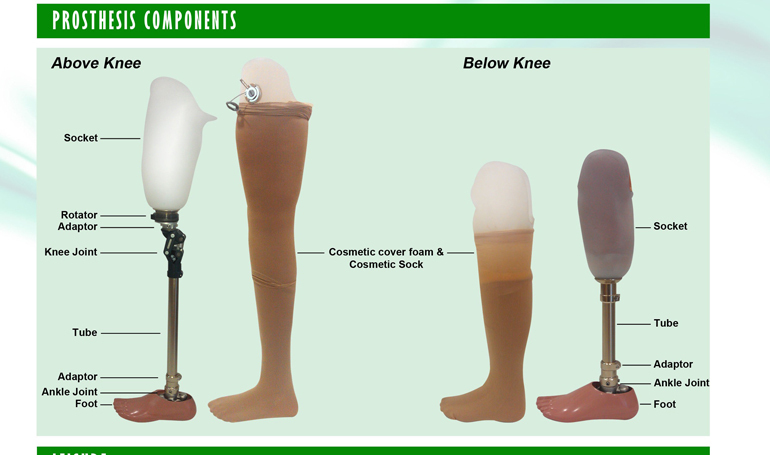 Depending upon different cases, various special prostheses are available. The hospital stay is approximately 8-10 days. 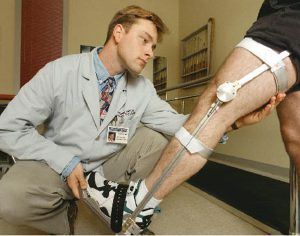 The operation is started immediately after exercise on crutches. As a rule, a follow-up treatment in a special clinic (rehabilitation clinic) is concluded with the inpatient stay. A complete and independent flexibility should be reached by the 5th – 6th week. As a rule, a high degree of surface abrasion of the joint surface is present. First, the cartilage and the menisci are affected as the next layer of the bones themselves.This abrasion wear leads to a stress and sometimes resting pain due to irritation reactions and sliding problems in the joint. Permanent misalignment during extreme physical work. On the other hand, accidents and their consequences such as, for example, a cruciate ligament rupture with subsequent instability or a bone fracture close to the knee joint can also promote the development of arthrosis. When is a knee joint prosthesis indicated? If, in the presence of knee joint arthrosis, no improvement can be achieved by jointly sustained operative or non-operative measures and mobility is impaired because of the pain, painlessness can be achieved by replacing the worn joint parts and thus the mobility can be regained. The operation is performed in partial or complete anesthesia. 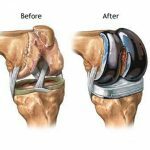 The knee joint is released by an incision at the front and the diseased parts of the joint surface are removed with special instruments. Subsequently, the thigh and shin bones are prepared one by one using special stencils, and trial prostheses are used, with which the expected result is checked. Only after that are the final prosthesis components used. 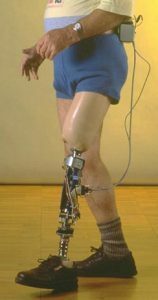 A synthetic resin attachment (polyethylene) is used as a buffer and a sliding surface between the prosthesis main components. The prosthesis parts themselves consist of special, very high-grade metal alloys. In cement-free prostheses, the proportions of the bone are made of titanium. There are currently three types of knee joint endoprostheses. In “sliding prosthesis” replacing either the inside or the outside knee half. The remaining joint must have an intact cartilage as well as an intact capsule-band apparatus, i.e. a regular function since these structures are not affected by this operation. 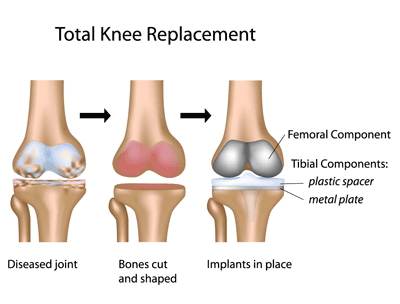 Resurfacing prosthesis is the entire knee joint surface “crowned”. A prerequisite is sufficient for the stability of the body’s own ligaments. Depending on additional complaints that can be triggered by the knee arthroplasty, this is also replaced. Both types of prostheses can be introduced “with bone cement” and “without bone cement”. 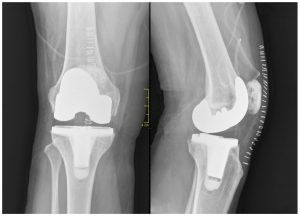 An axle-driven total knee replacement surgery comes in cases of advanced osteoarthritis with additional pronounced leg malalignment or joint instability to apply. Unlike the prosthesis types mentioned above, the prosthesis parts are movably connected to one another here, and the prosthesis is additionally anchored by stems in the thigh and shin bones. This coupling mechanism ensures an additional stabilization of the articulation guide. The stay after the surgery is about 8-10 days. As a rule, the preparations for surgery can be carried out on an outpatient basis. How is the post-treatment performed? After the first day of operation, the physiotherapy exercise is begun. In this case, passive movements on movable rails as well as active strengthening exercises are individually combined. In addition, walking is trained with crutches and later climbing the stairs. Inpatient treatment is usually followed by rehabilitation, which can be carried out either on an outpatient or inpatient basis according to the need an agreement with the responsible health insurance company. Are you considering traveling to India for your knee replacement surgery? Visit www.medtravels.in and get a comprehensive list of hospitals and doctors for knee surgery and other medical procedures. Contact us at www.medtravels.in to know the detailed procedure of the surgery and plan your best medical treatment abroad. 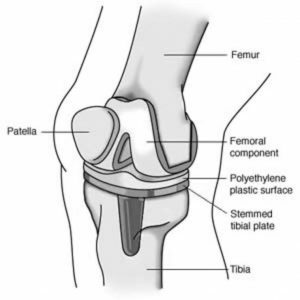 Much Informative article on Knee Replacement Surgery variations. 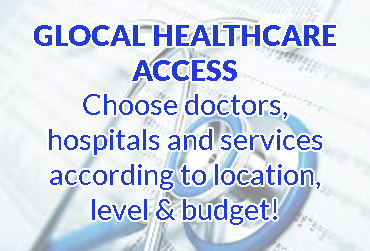 Knee Replacement Costs vary depending on various factors.